Santa Clause will be making a visit to the Defiance Public Library on December 2, 2017. He is expected to arrive at 2:15PM with stories and songs beginning at 2:20PM. Because this is Santa’s busy season, though, he is expected to depart the library at 2:45PM. Be sure to bring your little ones out to the Defiace Public Library tomorrow to join in the holiday fun! The Friends of the Library are donating cookies, and with Arps Dairy’s donation of healthy, locally sourced milk, the children and family members attending will be able to partake in “milk and cookies” with Santa. While there, Prudential Insurance agents will be in the Children’s Room from 1:00 – 4:00 pm to provide a Child ID for families who wish to create them. In addition, carolers from Tinora High School will be there in the early afternoon singing Christmas carols for those attending the events at the library. They plan to perform outside, weather permitting, and inside during the time they are there. 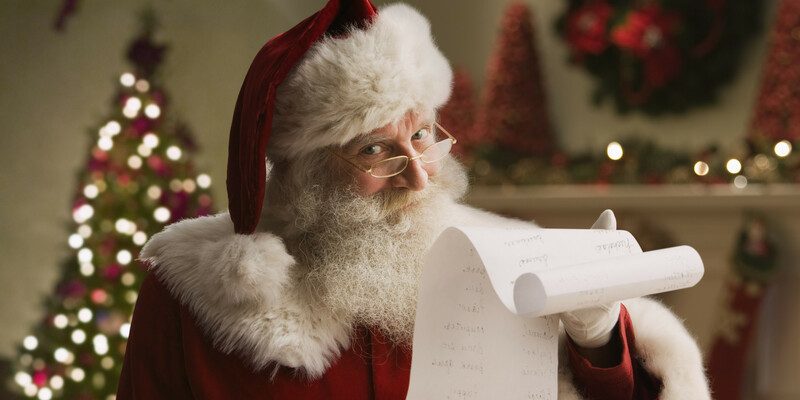 Be sure to visit http://visitdefianceohio.com/annual-events/ to see Santa’s full schedule!